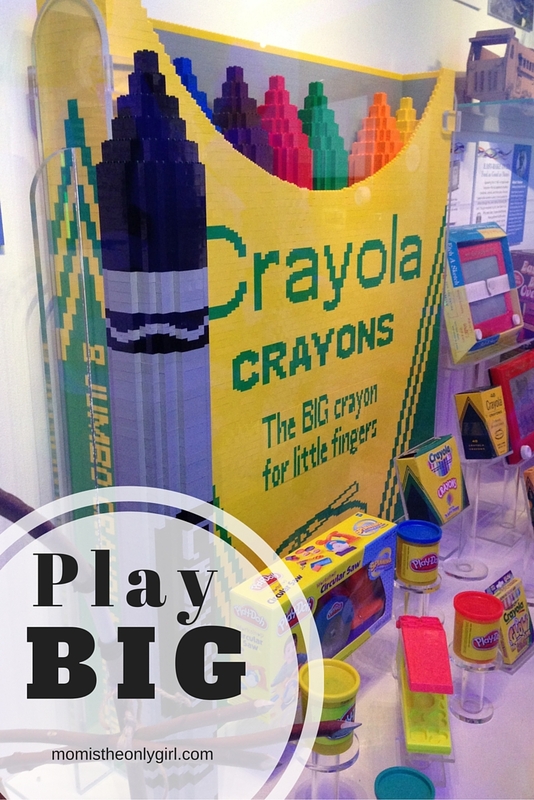 Its no secret my boys absolutely love The Strong National Museum of Play! If we ask the boys what they want to do on any given Saturday we hear either “Go to the museum of play” or “have a friend over”. In that order. We’ve been going to The Strong since Cutie Pie was nine months old and have watched this amazing hands-on play museum change and grow into this fantastic environment that feeds kids’ imaginations in so many ways. The stairs leading to The Toy Halls of Fame get you exited and wondering what’s up there! 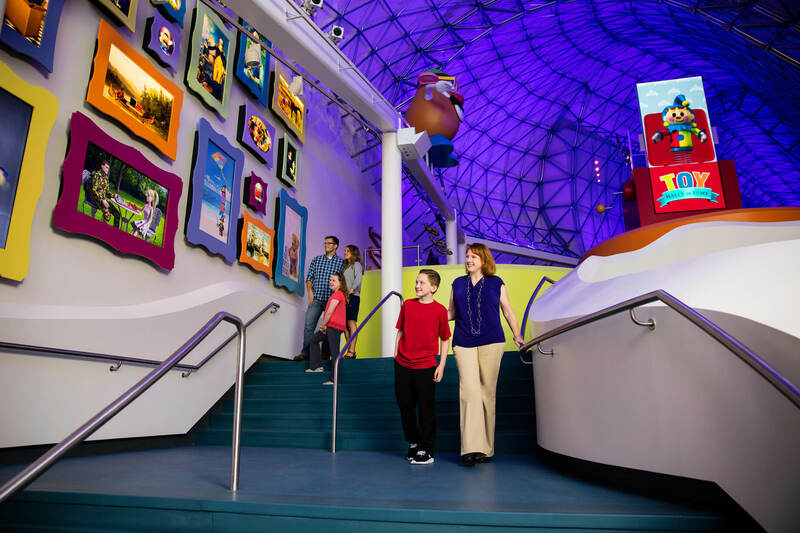 This past weekend The Strong unveiled the new Toy Halls of Fame space on the second floor of what’s called ‘The Caterpillar.’ As we walked up the stairs we knew we were in for a treat seeing a gigantic Mr. Potato Head and a huge screen TV space. The interactive space immediately drew my boys in. The giant wall of screens where they became part of the display of kids popping digital bubbles kept them busy for quite a while. And then there was the digital child’s room where you could grab an item and play with it digitally. So hard to explain in writing, but so cool! 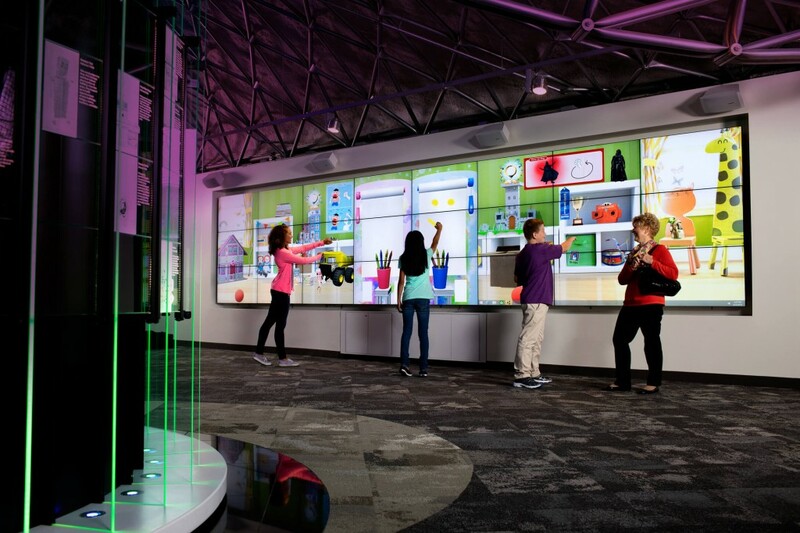 The virtual playroom lets you grab a toy and play with it, without actually getting your hands on it! Photo courtesy of The Strong, Rochester, New York. Sweet Pea was most enamored with the Hot Wheels tracks winding around Hall of Fame Toys on the level midway up the staircase. Well, that and the giant army guy with a ball-blowing bazooka which made an enormous Jack-in-the-Box bear move if you hit the target. Which was all next to his other favorite thing…a big wheels bike, which, when peddled, pushed a load of marbles up a ramp. When the marbles fell they went through a maze then over a toy xylophone and under bells making great noise! Amidst all of the interactive exhibits in this area were several showcases of the Hall of Fame toys, as well as displays of inventors of toys. It is quite an impressive area that you and your children would love – in addition to the rest of the museum! It was a hard space to capture in photos, but here are just a few to tempt you to visit!